Like many of you, I totally love bacon! There's just something special about its smoky goodness. I recently discovered Kiolbassa's delicious Dry Cured Hickory Bacon...and it's become my go-to bacon for creating delicious savory and sweet recipes. You can really taste the difference that dry curing makes! 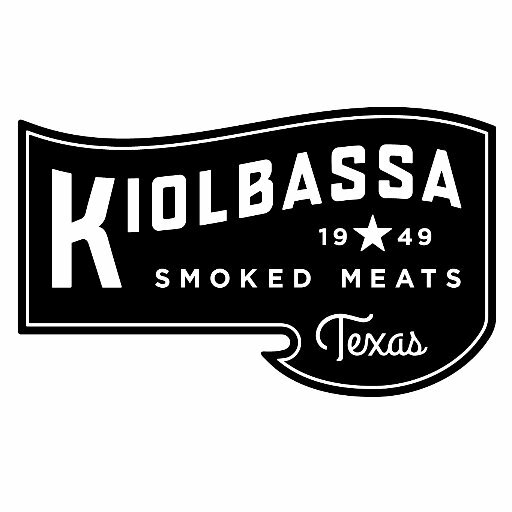 Kiolbassa's dry-cured bacon is slow-crafted, naturally smoked premium bacon. There's no water added, so Kiolbassa's bacon doesn't shrink like bacon typically does. Before the bacon is cured, it's hand rubbed with a secret spice blend. The end result is bacon perfection! It cooks up perfectly, maintaining its shape perfectly. I recently used Kiolbassa's Dry Cured Hickory Bacon to create a simply delicious breakfast creation that's perfect for the busy back-to-school season! 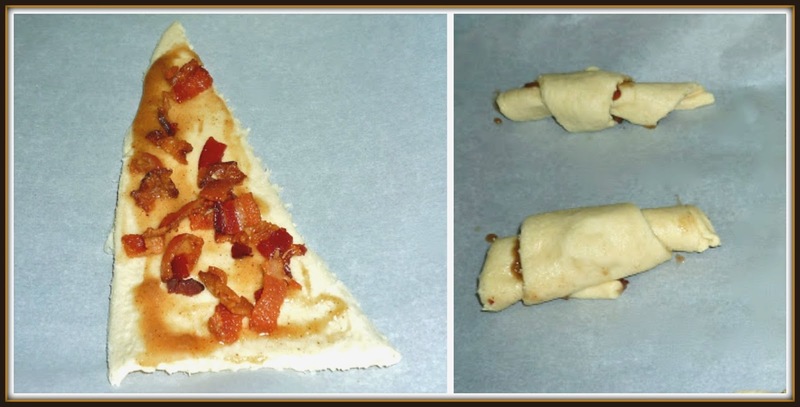 My Easy Bacon-Maple Crescent Rollups are made with refrigerated crescent rolls, crumbled bacon and yummy maple filling flavored with cinnamon and nutmet. 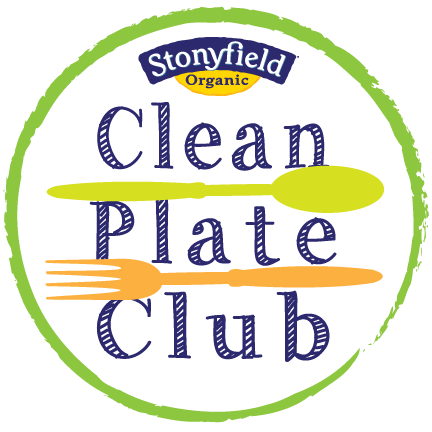 After baking, they're topped with a maple-spice glaze and more crumbled bacon. To save time on busy weekday mornings, I cook the bacon and make the filling and glaze the night before -- and store everything in the fridge. A few minutes of prep the night before means these yummy crescent rollups can be ready to enjoy for breakfast in about 15 minutes during the hectic work week! Step 1: Cook the bacon until crisp; drain well and crumble. Set aside while you make the filling. To make the filling add the softened butter, pure maple syrup, vanilla extract, cinnamon, and nutmeg extract. Whisk well to thoroughly combine. Step 2: Preheat oven to 375, and place parchment on a large baking sheet. Unroll the crescent dough and separate into 8 individual triangles. Set aside 1/3 of the bacon for topping after the crescents bake. Spread 1 tsp. of the cinnamon filling onto each crescent triangle and sprinkle with a generous amount of the crumbled cooked bacon. Roll the crescents up and place point side down on the baking sheet, making sure to leave room for them to puff up as they bake. Bake the crescents for 10-12 minutes, until they are golden brown. Step 3: While the crescents bake, make the glaze by adding the melted butter, maple syrup, vanilla extract, cinnamon, nutmeg, and powdered sugar to a small bowl. Stir well to combine and set aside. Let the baked crescents cool for about 5 minutes before glazing them. Spread the glaze on the warm crescents, then sprinkle a bit of the leftover bacon pieces on top. Serve with glasses of ice-cold milk and a piece of fruit for a well-rounded breakfast. These crescent rollups may be simple to make...but their flavors are simply out of this world! 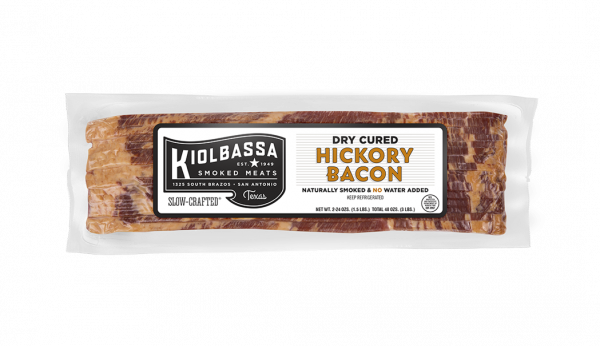 The Kiolbassa dry cured hickory smoked bacon is so flavorful -- it's definitely the star of the show here. The thick-cut Kiolbassa bacon is complimented perfectly by the cinnamon filling inside the crescents. 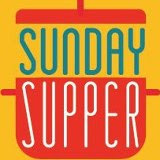 The glaze features flavors of maple and warm spices, which combines perfectly with the bacon. Put it all together, and you have a winner of a breakfast or snack! 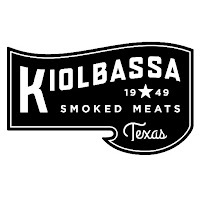 Kiolbassa is a San Antonio-based company, but their products can be purchased at grocery retailers across the country. 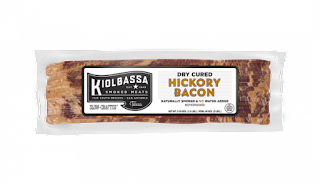 Can't locate Kiolbassa Dry Cured Hickory Bacon at a store near you? No worries! 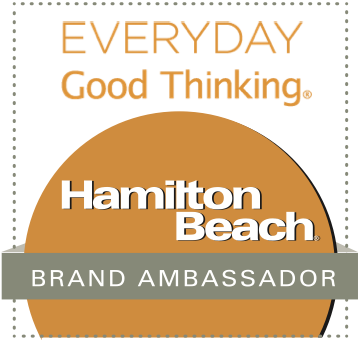 You can purchase their delicious bacon...as well as their smoked sausage flavors...via their convenient online store. 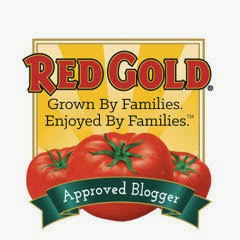 Disclosure: Kiolbassa provided me with products to facilitate recipe development for this article. All opinions are solely my own.